In recent years, many states have grappled with the challenge of balancing the interests of regulated energy utilities to earn revenue by selling power with the public policy goal of reducing energy consumption. To meet this challenge, more than 30 states in the U.S. have successfully used innovative utility rates, termed “alternative ratemaking,” to better align utility financial incentives with the public policy goal of increasing energy efficiency and distributed energy resources. Research by the American Council for an Energy-Efficient Economy shows that states with alternative ratemaking policies achieve 50% higher savings from their energy efficiency programs. Following two recent actions, the Commonwealth of Pennsylvania is now poised to take advantage of these tools as well. On June 23, the Public Utility Commission (PUC) published its Proposed Policy Statement on Alternative Ratemaking in the Pennsylvania Bulletin. The Proposed Policy Statement is the product of more than two years of PUC action beginning in March 2016, when the PUC held a hearing to determine whether revenue decoupling and other ratemaking mechanisms would encourage energy utilities to better implement energy efficiency and conservation programs. The day before, June 22, the Pennsylvania Senate passed, by a 41-8 margin, Act 58, which permits the PUC to approve the use of alternative ratemaking mechanisms, including revenue decoupling, performance-based rates, formula rates, and multi-year rate plans, as part of a base rate proceeding. Gov. Wolf signed the Act into law on June 26. Importantly, the Act clarifies the PUC’s once murky legal authority to approve such rates. Previously, some stakeholders believed that alternative ratemaking was precluded by Pennsylvania’s energy efficiency law, Act 129, because it contained specific language barring utilities from collecting “decreased revenue” outside a traditional base rate case. Act 58 makes it clear that Act 129 is not a statutory barrier to alternative ratemaking in Pennsylvania. With the law settled, the focus now shifts to the PUC’s Proposed Policy Statement to set the criteria by which alternative ratemaking is implemented. How the rates align revenues with cost causation principles as to both fixed and variable costs. How the rates impact the fixed utility's capacity utilization. Whether the rates reflect the level of demand associated with the customer’s anticipated consumption levels. How the rates limit or eliminate interclass and intraclass cost shifting. How the rates limit or eliminate disincentives for the promotion of efficiency programs. How the rates impact customer incentives to employ efficiency measures and distributed energy resources. How the rates impact low-income customers and support consumer assistance programs. How the rates impact customer rate stability principles. How weather impacts utility revenue under these rates. How the rates impact the frequency of rate case filings and affect regulatory lag. Whether the alternative rate mechanism includes appropriate consumer protections. Whether the alternative rate mechanism is understandable and acceptable to consumers and comports with Commonwealth law. The initial comment period for the proposed policy statement closes August 22, and given the flurry of activity around alternative ratemaking in recent months, this docket is sure to set the stage for what utility ratemaking in Pennsylvania looks like in the future. KEEA believes this is policy that puts energy efficiency at the center of alternative ratemaking. 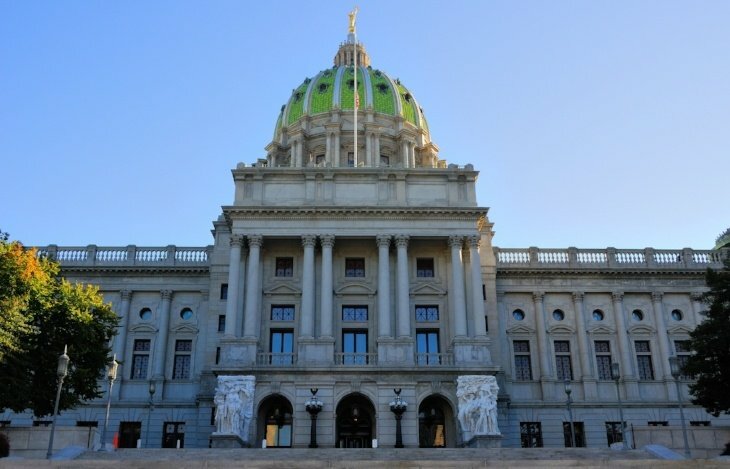 By setting strong criteria that values to importance of energy efficiency and other advanced energy resources, Pennsylvania will be able to step into the 21st century with a utility business model that rewards utilities for investments in energy efficiency, and results in more energy savings for businesses and households from utility programs under Act 129.